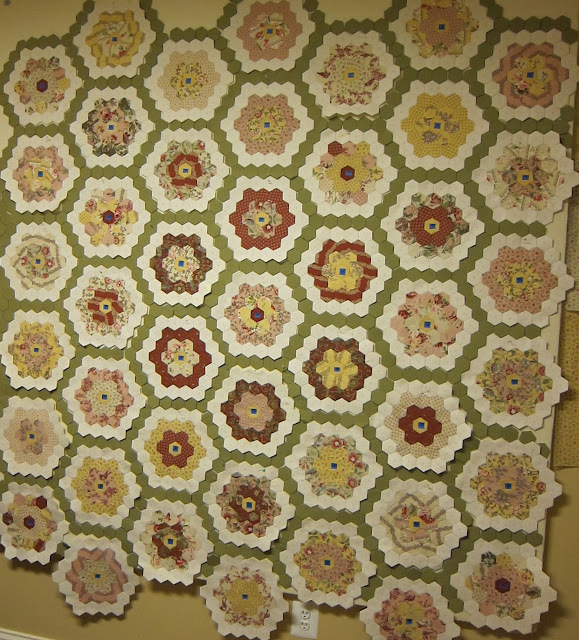 We're making progress on our Grandmother's Flower Garden quilt. This photo shows our final layout, with the green garden path placed but not yet sewn. It's been a joy to watch each and every flower "grow". 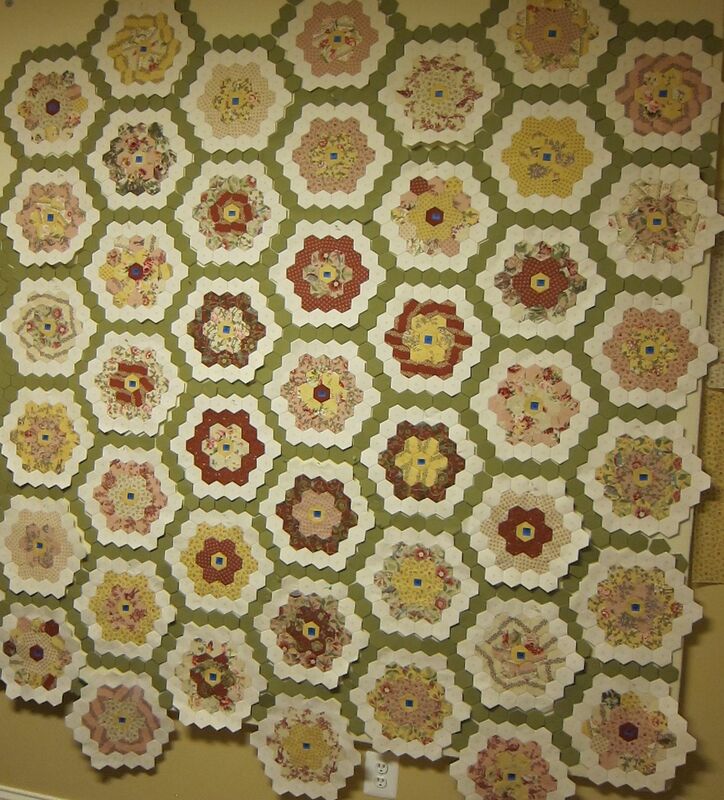 We've begun the next step :: distributing individual flowers to our members, along with twenty-four of the green hexagons to be added to the outside edge. Each flower has a numbered piece of blue painter's tape in the center, reminding us how to put this puzzle back together again. There are no deadlines for this quilt :: just a group of like-minded women, a needle and thread, and a little bit of vision.